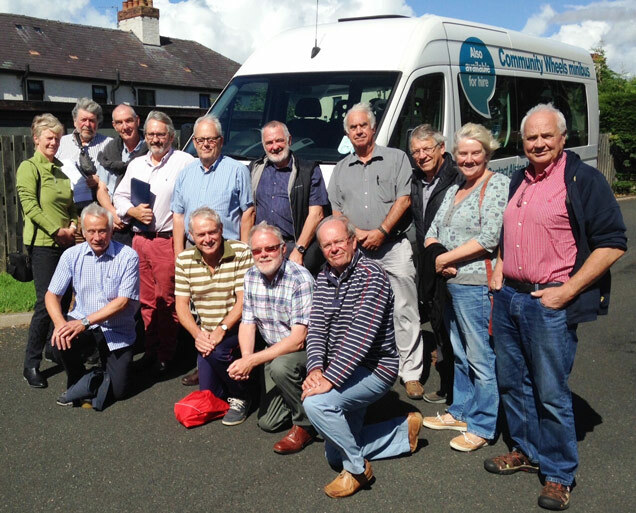 From that and subsequent meetings we saw the formation of a small number of interested parish councillors, who met on a frequent basis to discuss ways forward. Initially the group had to discuss an area from Gilsland and Alston towards Brampton, and all villages south of the A69 to North of the A689 with links to include Brampton and Carlisle, something in the region of 9 routes. Some of these routes are being trialed by commercial companies and if they decide the routes aren’t viable we will endeavour to fill the gap. Brampton Community Trust initially provided us with an address and a place to meet and latterly SP Training have helped with the same and provided off street secure parking too. We are only able to provide this service with the selfless help of our volunteers not all of whom come from the areas affected by the cuts. The Border Rambler project would fall flat without our volunteers, give them a pat on the back when you see them.